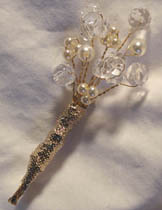 Turn a wedding dream into a Crystal Wedding. 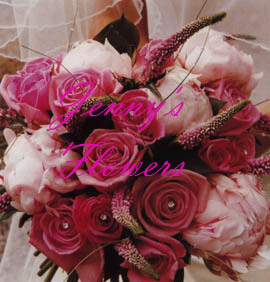 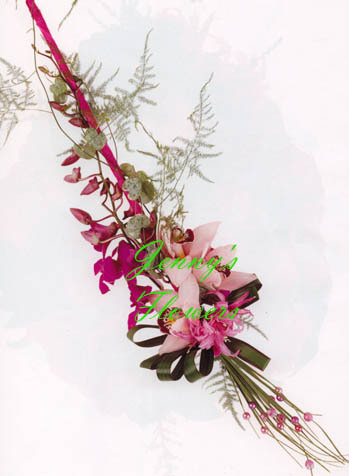 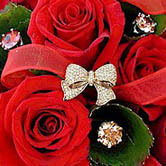 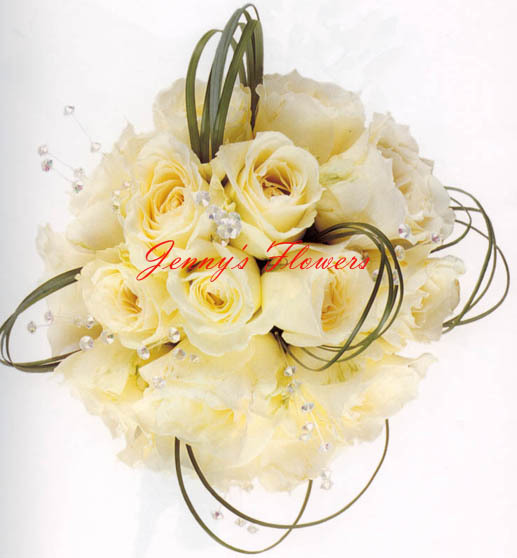 You will find elegant bridal bouquets, corsages and boutonnieres, to more complex floral arrangements. 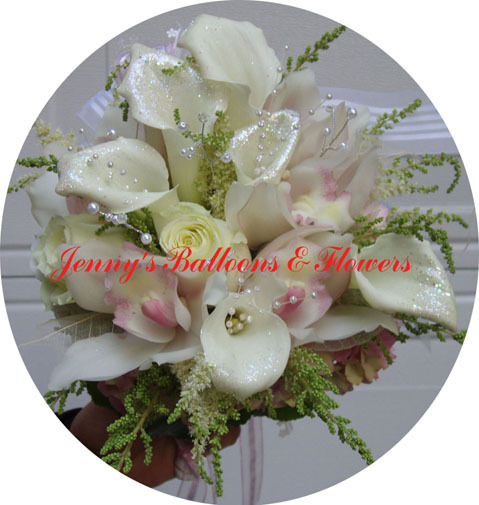 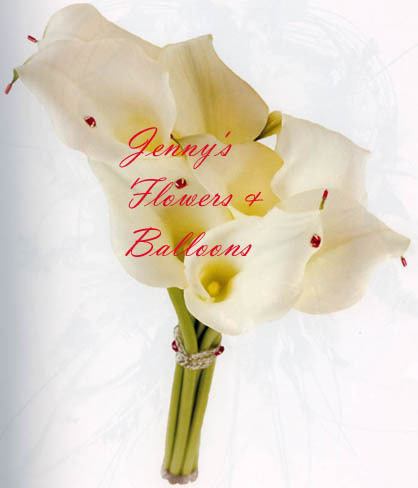 Jenny's Flowers specialize in Clear Swarovski Crystals and White Pearls bouquet for all brides. 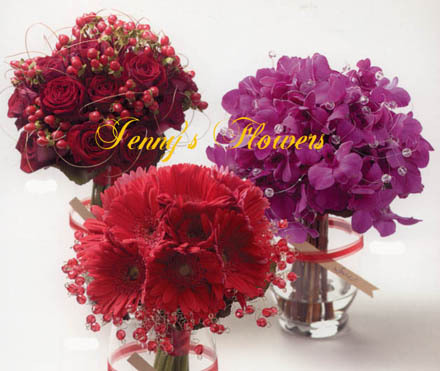 Crystals rental from $3 and up per stem are available for bride who want extravagant look, but cut down on budget. 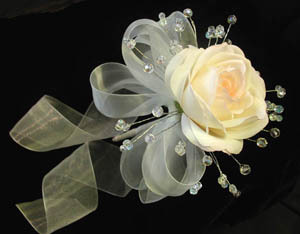 Brides are welcome to bring their own favorite jewels to add to the bouquet. 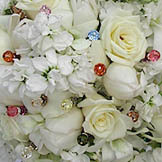 I can order any crystals to spice up your bouquet. 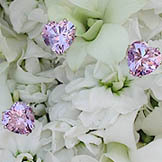 See some of the samples below to see which crystals or style that you would like to add to your bouquet. 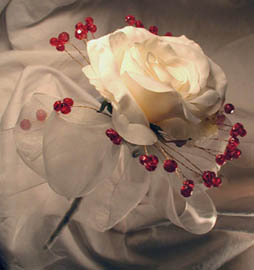 after 6:00 P.M. Monday-Friday and anytime Saturday-Sunday.